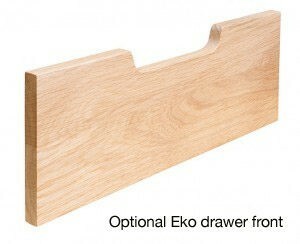 Eko is a dowel jointed drawer with an oak finish, especially suited for use in bedrooms, hotel furniture, home-offices and kitchens. suitable for even the most rigorous use. 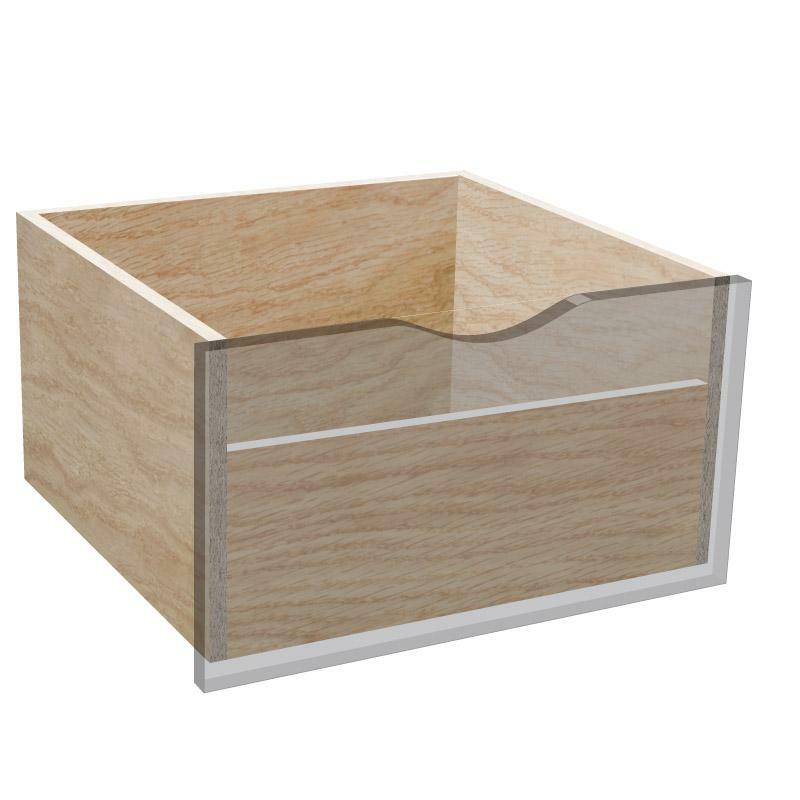 surface particle board, adding to the overall strength of the drawer. 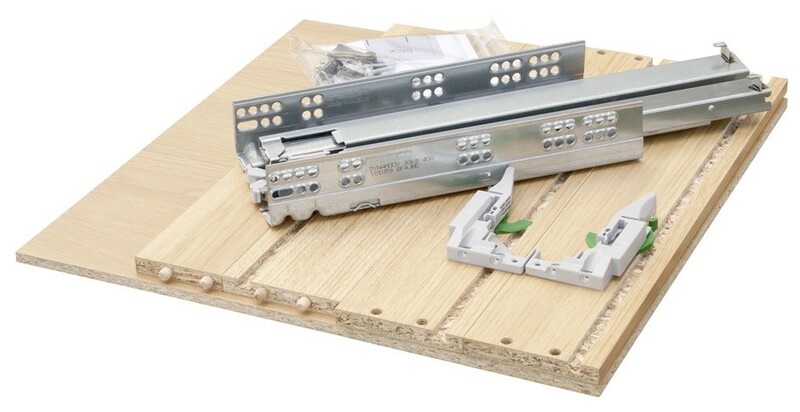 standard but can be specified with Blum Tandem runners or without runners. 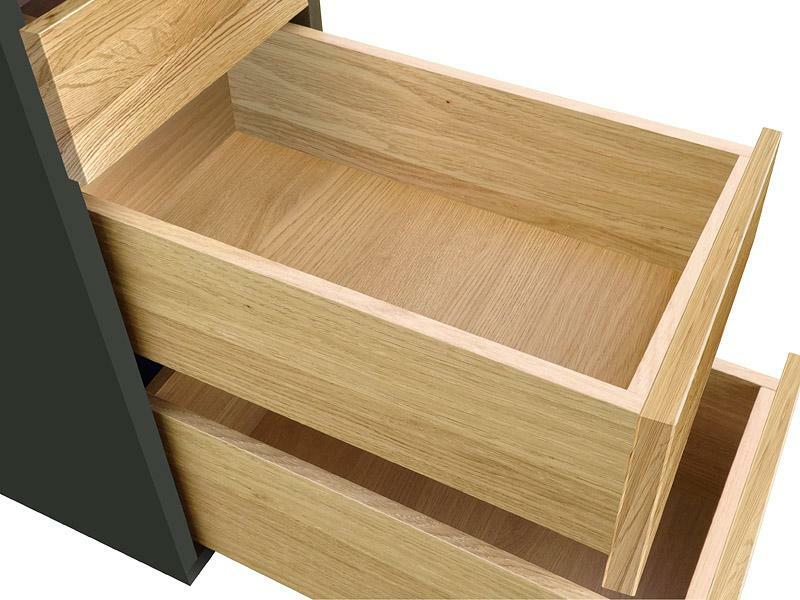 A low-front (LF) option available to facilitate drawer fronts with a handle-scoop (to see our range of Eko drawer fronts click here). Available for 140mm and 196mm drawer heights only. Fronts, sides & backs constructed from Oak finish 13mm board. Bases made from matching 8mm thick wipe-clean melamine surface particle board. Dowelled connection on all four corners giving a strong and reliable construction. Vast range of standard sizes enables customer-applied fronts to suit all applications. Three heights: 90mm, 140mm and 196mm. 700mm, 800mm, 900mm and 1000mm carcasses. Two depths, to suit 400mm or 450mm soft-close runners. match components to suit your carcass size. 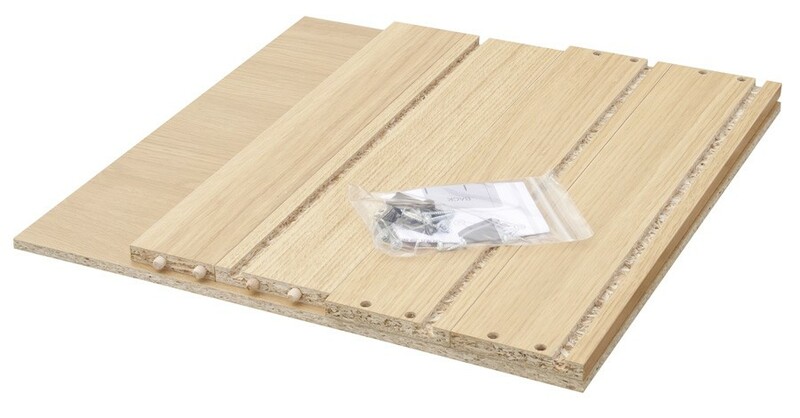 Bases are matching 8mm wipe-clean melamine surface particle board. Oak finish 13mm board, an economical alternative to solid wood. 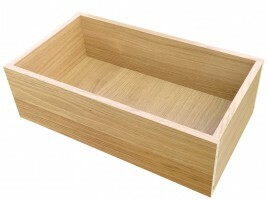 Solid oak drawer fronts available from stock.